an ideal place for your Antiparos vacation. Pavlos Place. 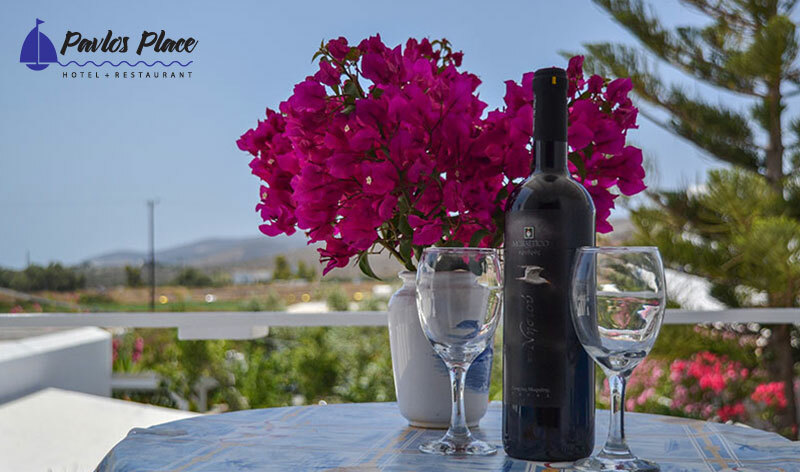 Ideal vacation in one of the best Antiparos hotels! 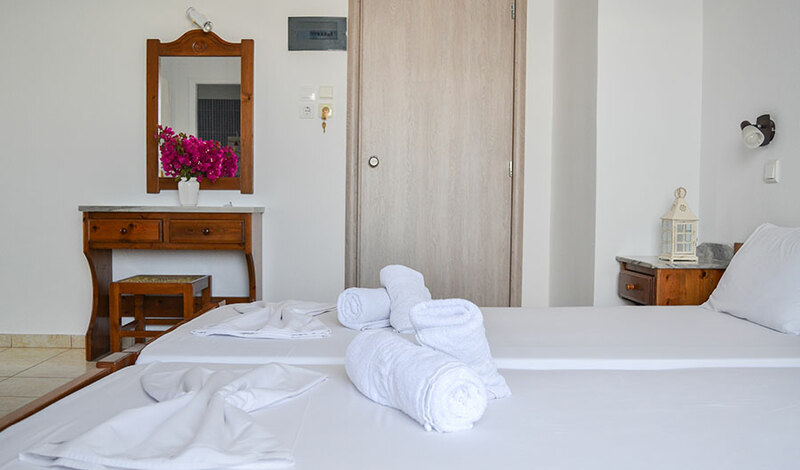 Pavlos Place on Antiparos island in the Cyclades of Greece , consists of a clean, comfortable, charming family run hotel that offers double – triple rooms , double space apartments for up to 5 people. 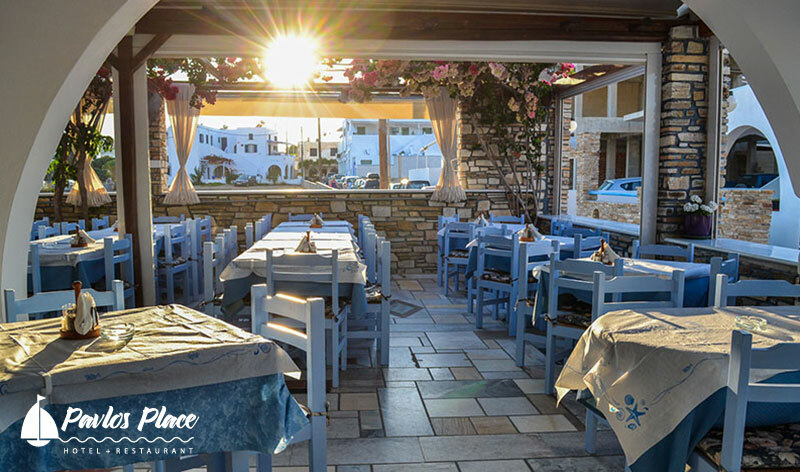 It also is a traditional Greek restaurant with a variety of Greek flavors and other dishes that you do not find elsewhere on the island , all cooked and served by the family in a warm and friendly atmosphere. 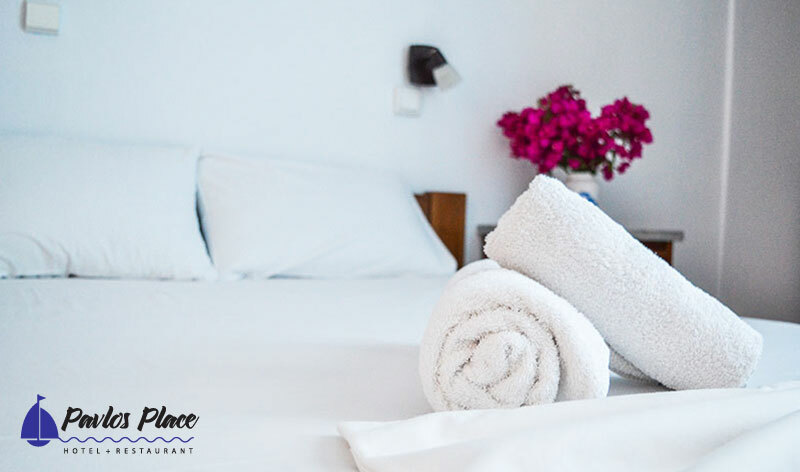 The owners, the Marianos family, will welcome you with a smile as if you were a member of their own family… and will help you with pleasure to organize a dream holiday in Antiparos. 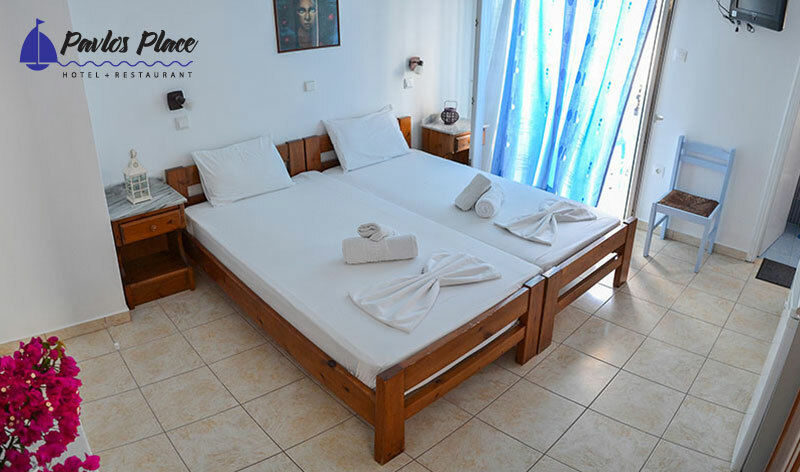 Recently renovated and specially designed for couples, there are 9 double rooms in Pavlos Place, with double bed or twin beds. In our hotel there are also 2 triple rooms contain one double bed and a single bed, or three single ones. Mostly for families, Pavlos Place can offer you 5 double spaced apartments, ideally for 4 or 5 guests. Pavlos and Dina have been improving their Homemade Cuisine over the years, taking different recipes from all around Greece in order to be able to offer something unique. 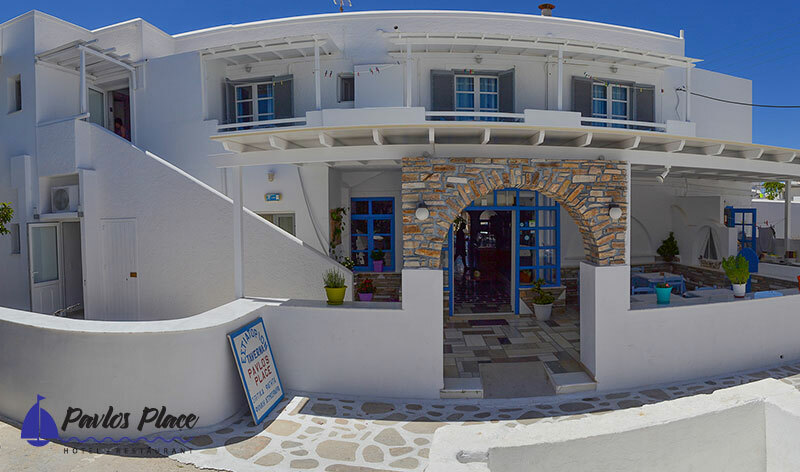 Here at Pavlos Place you can of course find the main traditional dishes such as Mousaka, homemade Stuffed Vine Leaves and Stuffed Tomatoes , but you will also be able to try out a variety of exciting new dishes that you won’t find elsewhere on the island. 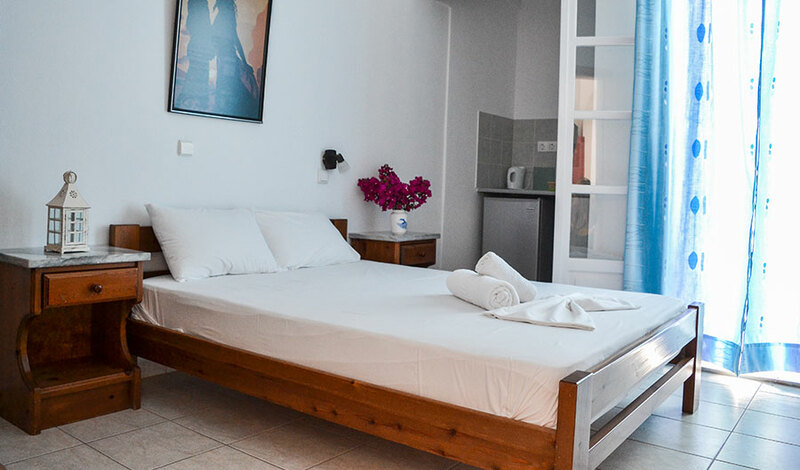 In a quiet area in the village of Antiparos, Pavlos Place’s ideal location offers its guests the convenience to be only a few minutes walk to the main street, as well as the near beaches of Psaralyki. A small heaven in Greece! Antiparos is a very popular destination and a unique holiday getaway. Antiparos can satisfy those who desire a different kind of vacation, offering a variery of activities and a lot of interesting sights to explore!